Video games, move over. 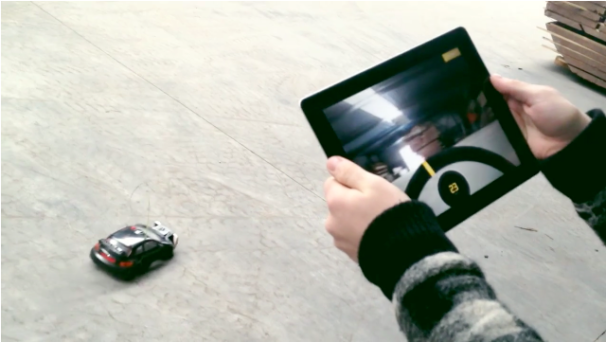 While speeding around a digital track can provide hours of fun, just how much fun could you have with an Arduino based RC car controlled with an iPad? Probably more than you could imagine, especially if you have a cat to enrage. Wannes Vermeulen created the project for a new media development course he was enrolled in, and while the video is snazzy, the little Arduino-racer is clearly the star of the show. Using two servo motors, an Arduino Uno microcontroller, the accelerometer data from an iPad, as well as an old Android smartphone for a camera on the car, Vermeulen was able to create what may be the greatest racing video game ever.